As per the average human attention span, you get only 8 seconds to capture a visitors attention, so you need to make sure you make most of these 8 seconds to turn visitors into customers. To engage users in this tiny window of opportunity, you need to make sure your website is eye-pleasing, easy to navigate, and high on usability. 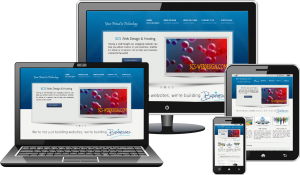 For this, your website design can make all the difference. Not convinced? As per a research conducted by Stanford University, over 46% visitors stated that a design is the most important criteria for deciding whether they would like stay on the website or bounce back. So, just having a beautifully designed website is not enough, you need a user-friendly website that gives users a great experience and results in more conversions. But which design principles you need to follow for that? This post shares 6 design principles when applied can boost your website conversion rate to a great extent. A good layout that seamlessly moves eyes from one direction to other. (depending upon the functionality of your website, you can pick ‘F’ pattern layout or Z layout. These design principles improve the overall experience of your website in a way that users just don’t accomplish goals but also enjoy their visit on the site. Color is the most underrated aspect of web design but plays an important role in conveying the mood of the website. Different color combinations convey different meanings and evoke different emotions, so when picking colors for your website, go for colors that you want your business or brand to convey. Apply contrast psychology to highlight call-to-action buttons, to make headlines and text noticeable and readable. And other elements that you want to highlight should be in a high contrast with the background to make that stand out from the rest of your site. In the parlance of web design, negative space is referred as whitespace on a website. In simple words, positive space can be defined as space that contains all the elements on your site whereas negative space is all of the left space or empty space in between such as space between paragraphs, space between sidebars and content, space between all lines of text and more. Despite the name, negative space is quite positive space in the web design because without any negative space, your website will look all cluttered and illegible. Effective use of negative space is necessary to keep your website user-friendly and easy to navigate. So avoid stuffing your website with too much information, give enough room to breath. As rightly mentioned by Oliver Reichenstein, “Web Design is 95% typography.” You can judge the importance of typography in web design by this saying. The main purpose of the typography is to enhance the readability of your content while optimizing your UI design. A good typography often goes unnoticed because it just makes sense. So, go for a simple yet bold typography that presents your content in a user-friendly way. Here are some essentials of a good typography. Consistency- Consistent use of kerning, typefaces, and formatting is essential to give your content a professional look and keep your users focussed. Hierarchy- To create hierarchy is important to guide users through the content. For example, in web design, it has to be heading followed by sub heading and then main copy. Alignment- Alignment is important to keep the look of your web page content unified. You can either settle for flush left alignment or flush right alignment, to give eyes of your viewers a stronger edge line to follow. However, refrain from choosing a centered alignment that is often the first choice of novice designers. So pick a typography that helps you set the right tone and message for your website. It has been observed when browsing the web, a user’s natural behaviour pattern is in the shape of an ‘F’ pattern. Thus, making it the most safest option for your website design to follow. Visitors when visit a site their eyes first move from left to right at top space of the screen. Next, they scan the page downwards, scanning small pieces of content. 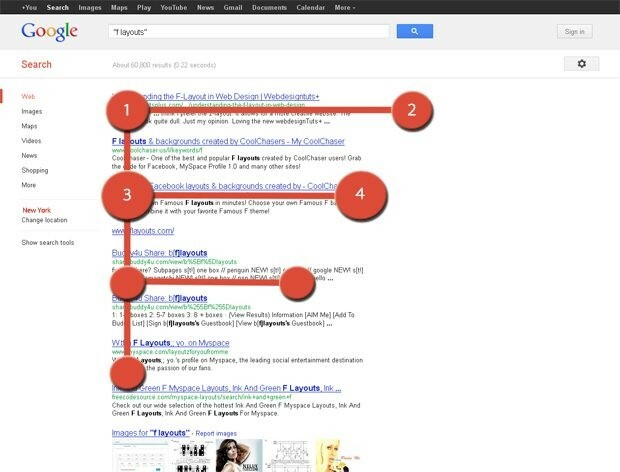 Further, it has been noticed that bottom right of a web page gets least amount of visibility. Thus, to boost your website conversions, you should place all elements of importance especially your CTA buttons along the F pattern lines so that they are visible right away and encourages users to take the specific action. Actions like completing a purchase, sign up for newsletter or an ebook download. As we know 10 out of 8 people, access internet from their hand held devices, so if your website is not mobile friendly then you are lagging behind greatly. To reach your customer base, you need to have a mobile-friendly website in place so that users enjoy a seamless experience while browsing your site. Moreover, Google also rewards mobile-friendly websites by showing them higher in the search results. So, simply by virtue of having a website that is compatible with mobile devices, you can gain better visibility and reach a wider audience. Thus, optimizing your website for mobile is no more an option or a trend that will disappear soon rather has emerged as a standard best practice to give your viewers or potential customers an optimal user-experience. Lastly, remember the K.I.S.S (keep it simple stupid) rule for your web design. For driving maximum conversions, keep the website design simple and friction free. Simple designs have less distractions and are more aesthetically pleasing and result in higher conversions.